Personal Healthcare Portfolio � "Without PHP patients are exposed to medical errors, unwarrented healthcare costs and medical fraud, waste and abuse." Your favorite health and wellness record is available in digital format! 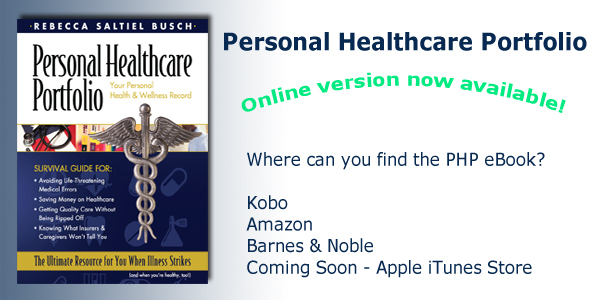 PHP can now be downloaded to be read on your Amazon Kindle, Apple iPad, Nook, or Kobo eReader." 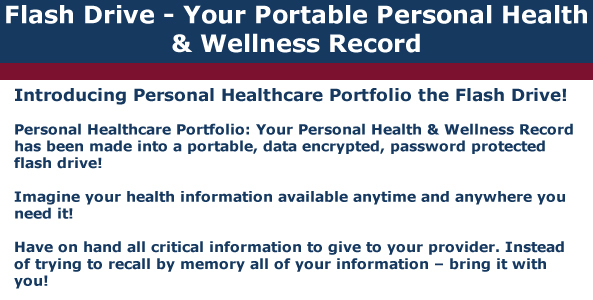 Your portable healthcare survival guide is there when you need your health information the most! Praise for Personal Healthcare Portfolio � "My family and I were turned down for health insurance and were not given any answers as to why. After reading Rebecca Busch�s book we are now insured with a plan we can afford and feel good about." PHP empowers families, individuals and their loved ones to take charge of their healthcare experience by enabling them to manage and control their healthcare information in one secure place. 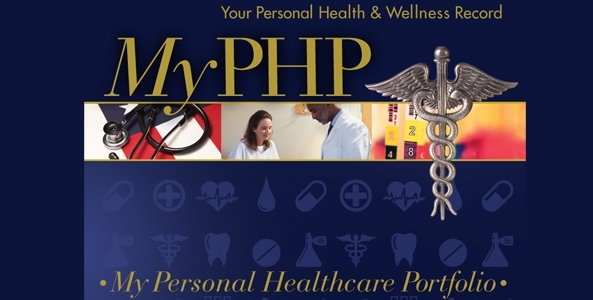 PHP works much like a resume, helping patients track their healthcare experiences and accomplishments. It enables patients to document their healthcare finances and health information. Armed with PHP, patients become their own best advocates. PHP helps remove the complexity, uncertainty and stress from healthcare. � 2002-2019 Medical Business Associates, Inc.
Medical Business Associates, Inc. is a certifed MBE ("Minority Business Enterprise"), SDB ("Small Disadvantaged Business"), and WBE ("Women Business Enterprise").